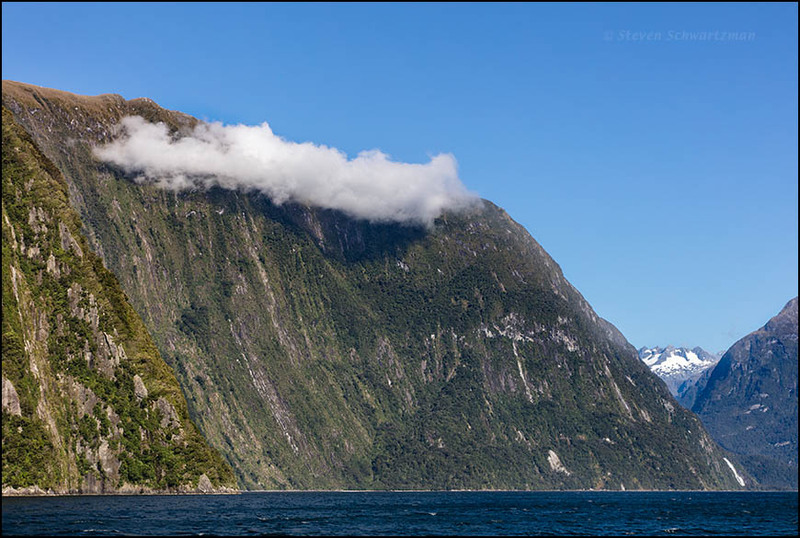 On February 22nd we made like tourists and took a two-hour boat cruise of Milford Sound on the southwestern coast of New Zealand’s South Island. 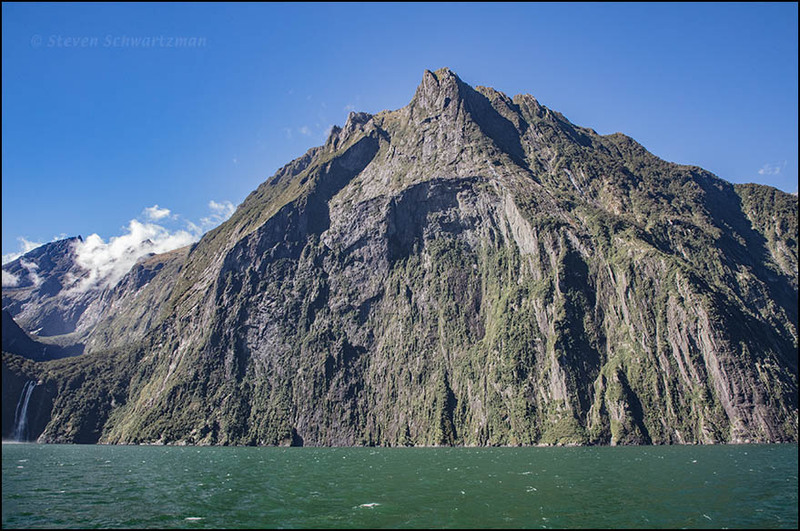 As you can see, Milford Sound is a fiord. Given the heavy annual rainfall in this area, more than a dozen waterfalls cascade into the fiord. Notice one near the left edge of the first photograph and the right edge of the second. Notice also how the clouds descend below the peaks of the mountains that line the fiord. The distant white in the second photograph is residual snow or ice from the previous winter. Here are the images that a search for “children’s story ‘the mountain and the cloud'” turned up. Oh, my. That’s not quite what I had in mind. I like your mountain and cloud better. I just added the words “New Zealand” to the search criteria and got a very different assortment of pictures. Ah — that’s better. And tucked into those images was this story about a little cloud. The story has its own story. It was written in 1959, and discovered after the author’s death by her daughter. So much gets lost. A few things escape oblivion, at least for a time. I see that Jetstar has a flight from Auckland to Queenstown. I didn’t realize New Zealand had fjords, though that demonstrates, more than anything, my ignorance about its landscape. Such a beautiful country! Now that you’ve covered some parts of Europe, perhaps you’ll set your sights on New Zealand. You’ll be well rewarded, as you’ve seen in some of these pictures. And everyone there speaks English (even if they do drive on the wrong side of the road).